The purpose of this section is for individuals to rate an employer's workplace environment and company values as to whether they are (i) age friendly, (ii) unwelcoming to workers age 50+, or (iii) in between. We're committed to protecting our community from fraudulent submissions tha t might affect our ratings and reviews. We review and approve every post before it appears on our site (approved postings are live within 5 business days). Individuals' submissions and employer responses, if any, are included in our confidential evaluation of an employer's current or future application to be designated as a Certified Age Friendly Employer. This survey is anonymous. REI - Recreation Equipment Inc. Individuals submit ratings on scale of 0 to 10, with 0 being least age friendly and 10 being most age friendly. These figures are averaged together to compute our 5-point rating. 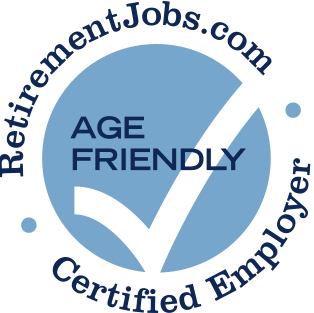 Is Your Employer Age Friendly?